Harry Holland was one of a number of Australian-born radicals who came to New Zealand in the early 20th century. He led the Labour Party from 1919 until his death in 1933. Holland's socialism was described as 'emotional, not intellectual'. He believed socialism would overcome society's problems. Harry Holland arrived in New Zealand in 1912 in the midst of the violent Waihi miners' strike. He co-authored The tragic story of the Waihi strike and in April 1913 became editor of the New Zealand Federation of Labour's influential newspaper, the Maoriland worker. He was charged with sedition during the 1913 waterfront strike and served 3½ months in prison. The Maoriland worker was outspoken in its criticism of the First World War. At the 1914 general election Holland stood unsuccessfully as the Social Democratic Party candidate in Wellington North. 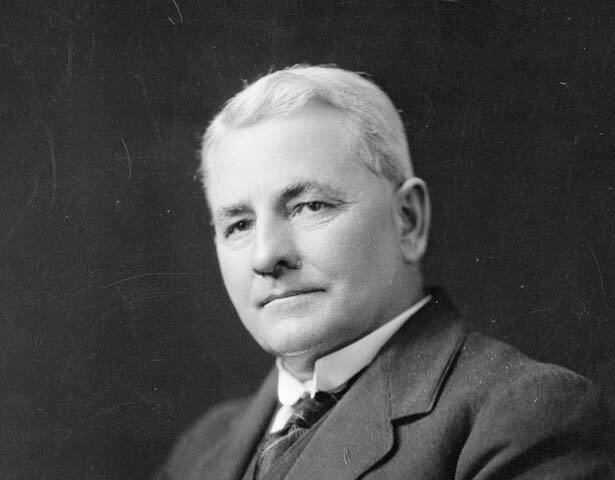 He was defeated once more in the Wellington North by-election in February 1918, this time as a Labour candidate. He was finally elected to Parliament in May 1918 in the Grey by-election (held after the sitting Labour member, Paddy Webb, was imprisoned for refusing military service). In 1919 Holland became Labour's parliamentary leader. Support for the party grew in the 1920s, but Holland was frustrated by what he saw as the electorate's inability to reject capitalism. By 1928, when the United Party won the general election, some questioned if Labour would ever win under his leadership. The onset of depression in 1929 initially seemed to confirm Holland's view of the imminent demise of capitalism. But as the crisis worsened he became less interested in socialist theory, instead giving away whatever he could until his own family possessed only the bare necessities themselves. In 1931 Labour increased its vote but once more failed to win power. Holland's message and leadership were again questioned, although no official challenge to his leadership was made. In October 1933 Holland died suddenly while attending the burial of the Maori King, Te Rata Mahuta. Holland was given a state funeral and ‘in death ... captured the imagination and hearts of the public in a way he had never done while he lived'. As it prepared for the 1935 election, Labour portrayed Holland as the 'compassionate champion of the common people', an image that his successor, Michael Joseph Savage, exploited as Labour swept to power. We have 14 biographies, 3 articles, related to Harry Holland.